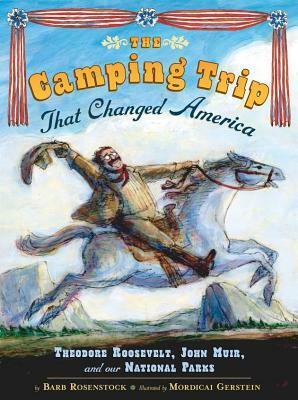 While based on true events, the author explains that little is actually known about what was said and done by Roosevelt and Muir during their trip together through Yosemite. So of necessity, some of this story is fictionalized. But it is still a marvelous story about the power of one person to make a difference. Teddy Roosevelt was well-known for his love of the outdoors and John Muir for his dedication to protecting the wild places before it was too late, so it's not surprising that the two got together on this and created some of the National Parks that are so popular today, including Yosemite. There is one particular illustration that I found especially powerful. The illustration shows Muir talking to Roosevelt while above their heads is an illustration of Yosemite under development. What a shame it would have been if that had happened. A beautiful book on an topic of continuing importance to future generations. 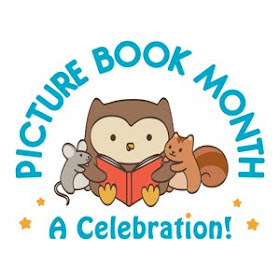 Acclaimed Caldecott Artist Molly Bang teams up with award-winning M.I.T. 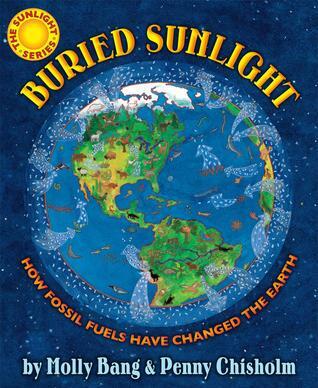 professor Penny Chisholm to present the fascinating, timely story of fossil fuels. Readers will be mesmerized by this engaging fourth book in the award-winning Sunlight Series by Bang and Chisholm. This books takes a basic approach in explaining some very complicated processes, but does so in a way that children can understand. One needs to consider however that there is still much disagreement even in the scientific community about global warming and fossil fuels and what will happen or is happening as we continue to use fossil fuels to build human society. There are a lot of ideas presented here in a beautiful way, but not everyone is going to agree with how it is presented or even what is presented. I really appreciated the more detailed explanations the author/illustrator included at the back including a note about the oversimplification needed to write this book, so it is by no means complete. But it is a nice overview of what is generally accepted about energy and it's place on earth.